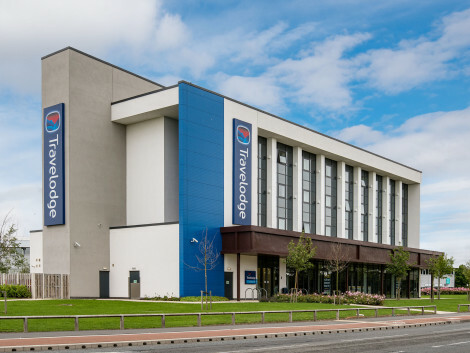 A smart hotel on the A1 motorway near Durham, with meeting rooms, free parking and all day diningHoliday Inn Darlington - North A1M, Jct.59 hotel is an easy 25-minute drive from Durham.Nearby Darlington station has direct services to London, and trains to Durham take around 15 minutes. Ideal for work stopovers, we’re also a convenient base for weekend breaks or day trips to the famous Durham Cathedral and Durham University Botanic Gardens. At the Beamish Museum, a 40-minute drive away, open-air exhibits recreate local life in the Victorian and Edwardian eras. Even closer is Locomotion, the National Railway Museum at Shildon, showcasing 300 years of railway history. If you’re here on business you can host a meeting in our 5 well-equipped conference rooms, with friendly staff on hand to help with catering.At this hotel you can enjoy:- Free Wi-Fi- A mini-gym- Kids stay and eat freeOur comfortable bedrooms have pillow menus and super king-size beds to help ensure a peaceful night. In our colourful Open Lobby guests can relax in vintage-style armchairs, plug in laptops at the E-Bar or flick on the TV in the Media Lounge. Food and snacks are available around the clock. Visit the restaurant to enjoy our daily afternoon tea, the popular grill night on Saturdays, and a classic carvery buffet for Sunday lunch. At Durham Tees Hotel, enjoy a satisfying meal at the restaurant. Breakfast is available for a fee. 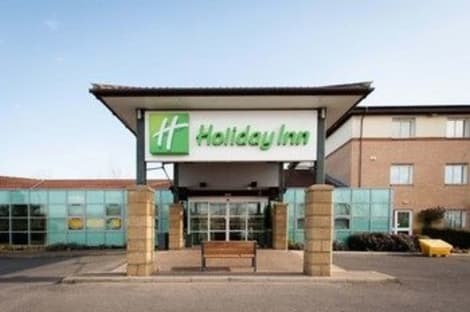 A stylish hotel beside the A1(M) with free parking, meeting rooms, a restaurant and an indoor pool Set beside the A1(M)/A66 junction, the Holiday Inn® Darlington - A1 Scotch Corner hotel is less than 20 minutes' drive from central Darlington and Durham Tees Valley Airport (MME). There's free parking, and a direct link to Darlington Railway Station from the bus stop outside. Riverside Richmond, five miles away, is the gateway to the Yorkshire Dales. You can hold an event for up to 300 in the nine modern conference suites with digital projectors and free Wi-Fi. Keep hunger at bay with breakfast pastries and finger buffets. And if you need a printer or copier, the friendly reception staff is happy to help. Kids love to explore Richmond Castle, beside the River Swale only 10 minutes' drive away. Just 13 miles from the hotel, the Bowes Museum shows fine art, textiles and ceramics in a grand French-style chateau with a park. Darlington itself has slides and swimming pools at the Dolphin Centre, theatres and a pedestrianised shopping centre. After work or play, you can relax in the sauna and steam room or clock up some laps in the indoor pool. Fratello's Italian Restaurant serves classic pizza and pasta in a romantic setting and you can grab drinks and snacks at the Columbus Bar & Lounge. At this family-friendly hotel, kids stay and eat for free. Make yourself at home in one of the 108 guestrooms. Complimentary wireless Internet access is available to keep you connected. Conveniences include phones and coffee/tea makers, and housekeeping is provided daily. With a stay at Harewood Lodge Guest house in Darlington, you'll be convenient to St Cuthbert Church and Raby Castle. 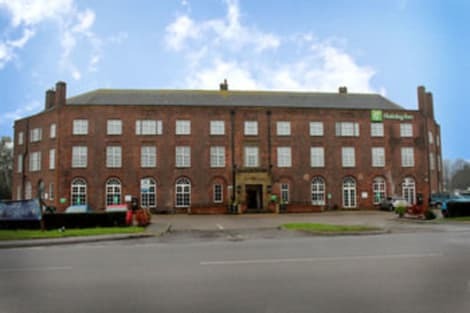 This guesthouse is within close proximity of Darlington Civic Theatre and Blackwell Grange Golf Club.Rooms Make yourself at home in one of the 6 guestrooms. Bathrooms with showers are provided.Amenities Take in the views from a garden and make use of amenities such as tour/ticket assistance and a picnic area.Dining A complimentary full breakfast is included.Business, Other Amenities Free self parking is available onsite. Enjoy British cuisine at Oswalds Restaurant, one of the hotel's 2 restaurants, or stay in and take advantage of the 24-hour room service. Need to unwind? Take a break with a tasty beverage at one of the 2 bars/lounges. Cooked-to-order breakfasts are available daily from 7 AM to 9:30 AM for a fee. Stop by the hotel's bar for lunch or dinner. Dining is also available at the coffee shop/café, and room service (during limited hours) is provided. English breakfasts are served on weekdays from 7 AM to 10 AM for a fee. Enjoy British cuisine at Maxines, a restaurant which features a bar, or stay in and take advantage of the room service (during limited hours). Cooked-to-order breakfasts are served on weekends from 8:00 AM to 10:00 AM for a fee. This luxurious hotel can be found in Darlington. Nestled within 44 metres from the town centre, the property allows easy access to all this destination has to offer. Within 2 metres guests will find links of transport that will allow them to explore the area. Customers will find the airport within 77 metres. The total number of guests rooms is 61. In addition, Wi-Fi access is offered at the establishment's common spaces. Guests may contact the reception desk any time during the day. This establishment's common areas are disability-friendly. Pets are not allowed at this accommodation. The car park may be useful to those arriving by car. Travellers may appreciate the health and wellness services offered at the accommodation. Customers can enjoy the delicious dining options offered in the pleasant surroundings. The property's dining venues serve a selection of flavourful dishes and beverages. Some services may be payable. Darlington is a market town in County Durham, in the north-east of England. Close to the Yorkshire Dales and not too far from the city of York, Darlington is a fantastic base from which to explore the area. 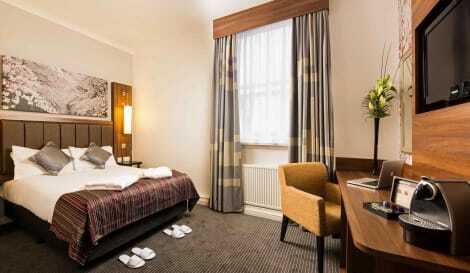 Whether you are looking for five-star luxury or simple and cheap, there are many Darlington hotels to choose from. Walworth Castle Birds of Prey is located in the stunning grounds of Walworth Castle on the outskirts of Darlington. Here you can learn about birds of prey and see them up close in daily summer displays and ‘falconry experiences' are available throughout the year. One of the best-preserved castles in north-east England, Raby Castle provides over 600 years of history. The fine interiors and architecture spanning the Medieval, Victorian, Georgian and Regency periods provide a magnificent backdrop for the stunning art collection. Take a quiet walk and spot wildlife in the 200-acre deer park and see examples of transport from the past in the horse-drawn carriage collection. There's much more, and whatever you choose to do, we are sure you'll have a fantastic day out. Darlington is about a 20-minute drive from the edge of the Yorkshire Dales, where you can enjoy beautiful countryside, amazing wildlife, cultural heritage and recreation opportunities. From spotting red squirrels in Snaizeholme to learning about the generations of people who made the Dales home at the Dales Countryside Museum in Hawes, there's something for everyone. With a variety of restaurants on offer, you shouldn't be short of somewhere good to eat. The Keys Darlington offers seasonal mouth-watering menus and daily specials suiSEOSITE_LEVEL_DESCRIPTION for everyone's taste. Below you will see they also have a fantastic nightclub. 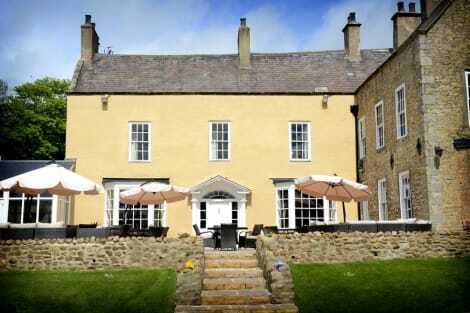 The Raby Hunt has been a Michelin Starred restaurant since 2012. In 2014 they entered the top 50 of the Good Food Guide and also achieved number 26 in the Sunday Times Top 100 restaurants – quite a batch of accolades! Crooners in Darlington is a family run champagne bar, with friendly, helpful staff. If you sign up for the cocktail lesson, you get three cocktails of your choice, a final champagne cocktail and the buffet, all included in the price. Dance the night away at The Keys Darlington. Unlike other venues, it's open until three a.m. and boasts two rooms of great music, stylish decor, a top lighting system, pioneer sound system and flashing dance floor.